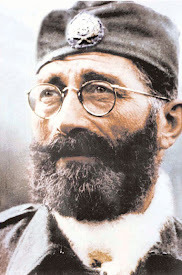 Aleksandra's Note: Today, July 17, 2011, marks the 65th anniversary of the death of General Dragoljub-Draza Mihailovich, Supreme Commander of the Yugoslav Army in the Homeland during WWII. 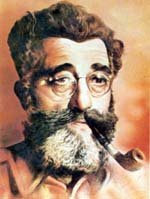 Among the many honors of distinction that can be attributed to General Mihailovich is leader of the first organized and successful resistance to the Nazis in all of occupied Europe. The anniversary of a death can be marked in an infinite number of ways. On this day I've chosen to share the words of Mihailovich himself. It is my hope that those who aren't familiar with who General Mihailovich really was will read these words and will be inspired to learn more. In your search you will find many lies, but you shall find many truths as well. 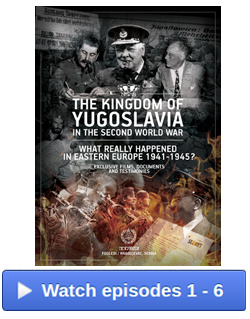 Those of you who are familiar with the way things turned out in Yugoslavia at the end of WWII and afterwards, especially the fate of General Mihailovich and his Chetnik patriots, will undoubtedly have a strong visceral reaction to his observations and statements. I know I did. One of my favorite observations has always been that of Thomas Mann, a German writer, who stated that 'A man's dying is more his survivor's affair than his own.' 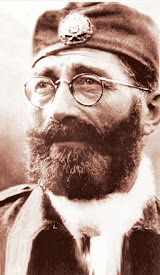 We, who continue to believe in the cause that Mihailovich and his Chetnik forces stood for, are his survivors, and it is up to us to make the truth known. 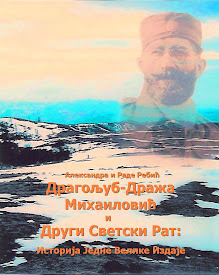 It is so gratifying to see the extent to which Serbs, both young and old, all over the world have striven to make sure that General Mihailovich's legacy is never forgotten. The fight continues...and in his memory, always will. "Only a common Allied command can gather into a common fight against the national enemy all forces of national resistance, eliminate the mutual fight and guarantee the formation of a single armed force in peace, with a state organized according to the free will of our peoples..."
"...Colonel McDowell had an opportunity to see our great military forces as well as the close connection between the people and the army. 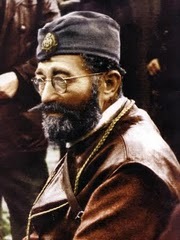 In Bosnia, he was enthusiastic over our work on reproachment with Mohammedans and Catholics. 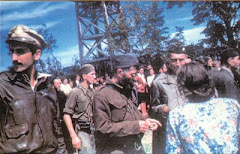 Together with me he visited the hospitals with our wounded who received their wounds in most cases from the Partisans. On that occasion he told me that there would be a great scandal in the United States if the public learned that nationalists were killed here with American arms transported on American planes..."
"...In a note of December 10, we appealed to Marshal Alexander in which we referred to the memorandum directed to General Wilson, and we placed our forces at his disposition with the assurance that we would carry out all tasks he might assign to us. As yet there has been no answer..."
"In spite of all force and propaganda, Tito is unable to crush the real sentiments among the people and the civil war will continue, not upon the wish of our leadership, but because of the need which the people feel in order to protect themselves from the Ustashi-Communist oppression..."
"Two of our Ravna Gora Corps have been very successful in an attack on the Germans in Kraljevo and Chachak. They captured a large number of Germans whom they handed over to the Russians." "...The operational army was formed from the youth of the country, militarily fit, ranging from 18 to 30 years of age. But among these forces are often found older - but physically fit - men who wished to serve in the units. They are usually veterans with previous experience, men who 'could not live without fighting'." "According to the standard of the man, and also the type of armaments, the brigades differ. Those composed of the highest standard of fighters - for in our country various districts and even different villages yield different types of fighters with regard to courage and endurance - are called 'assault' - udarne - or 'storm' - jurisne - brigades. These brigades represent the crack troops. "To serve in such a brigade is considered a great honor. No fighter will ever fail to point out that he is a member of a 'storm' or 'assault' brigade." 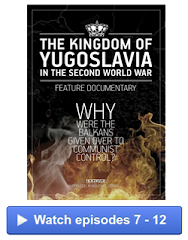 "...We have now in Sandzak and Eastern Bosnia about 40,000 men Voyvoda Djujich retreated from Dalmatia to Lika. Our other forces are in their respective regions. 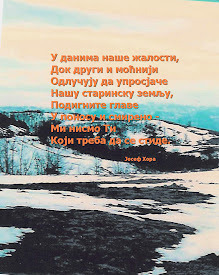 In Serbia our guerrilla forces are in all the mountains..."
"Abandoned by all, we have had a solid support in Great Freedom-loving America, which is the only country in the world to protect the interests of small nations..."
"...I wish to do everything to prevent a civil war. I propose to have my delegates meet the delegates of Tito somewhere in Sandzak. 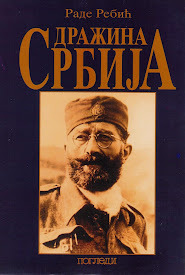 Having had a sad experience with the word of honor of the Partisan General Staff, I wish that these negotiations be carried out by the British Military Mission..."
"...Our movement stands for absolute equality of the Serbs, Croats and Slovenes..."
"In our armed forces 18% are non-Serbs and 28% are not Greek Orthodox..."
"...The Allies will be surprised at the size of our organization and its reliance on masses of the people..."
"...I have nothing against a reorganization of my forces in accordance with the plans of the British Supreme Command in the Middle East..."
"...The existence of the Yugoslav Army in the Homeland has been recognized both by the German and Pavelich press as well as the radio services which call my troops, 'Bands of General Mihailovich'..."
"...I have never asked for praise for the work of my units in Homolje (in east Serbia, south of the Danube River) and Pristina (capital of Kosovo). I know better than anybody the value of the units which I have the honor of commanding..."
"...My officers and soldiers are eager to attack German communications, but they did that before the arrival of British officers who were received as allies..."
"...I shall disregard all undeserved interventions and obstacles which were placed by those who were supposed to help me, or at least to leave me alone to continue my action which I began when it was least expected and by which I and my fighters have given an example to all of Europe how to die for freedom..."
"...In the course of this year we have succeeded in saving over 400 American fliers from German hands. So far over 350 of them have been sent to Italy. We have still more and there will be others in the future. 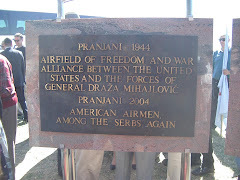 We have received a written recognition from the 15th American Air Force Corps..."
"...American Lieutenant Colonel McDowell, on the occassion of our cooperation, arrived in August with his entire Mission and he had the opportunity of convincing himself, on the spot, of the true situation in the country..."
From "A Forgotten Army" (1945) by Major Borislav J. Todorovich, member of the General Staff of General Mihailovich and liaison officer with the American Military Mission during its travels through Yugoslavia.